Ukraine's President Petro Poroshenko has appointed Viktor Nazarenko as the head of the State Border Guard Service. "President of Ukraine Petro Poroshenko has informed that he appoints General Lieutenant Viktor Nazarenko, who previously worked as first deputy head of this service, to head State Border Guard Service of Ukraine," a press service said. 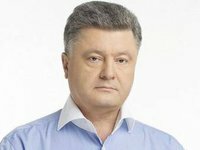 Poroshenko hopes that the combat experience of the new chief of the agency will help him in his work to provide security on the Ukrainian national border and fighting smuggling schemes that exist today. The president stressed that new chief of the service is a real professional of his business. "I hope that your awards, your Afghan experience and your experience of work in the ATO [anti-terrorist operation] will give you sufficient moral reasons to stop involvement of the border guard in the corruption schemes," he stressed. It was reported that on October 6 the Ukrainian president sacked Mykola Lytvyn as the head of Ukraine's State Border Guard Service. On the same day, he sacked Lytvyn's deputy Pavlo Shysholin, who also served as the director of the National Border Security Department and replaced him with Nazarenko, who until today worked as the acting head of the border agency. After graduating from the Lviv High Military School in 1977 and from the Frunze Military Academy in 1986, Nazarenko served in border guard troops, first as the head of the Lviv Border Guard Detachment and eventually becoming the first deputy head of Ukraine's Border Guard Service. Under Lytvyn's leadership, he served as the First Deputy Director of the National Border Security Department in the administration of the Ukrainian State Border Guard Service (2004-2014).